Energy Trust of Oregon (ETO) provides cash incentives for energy efficient upgrades to single-family and multifamily site-built homes. 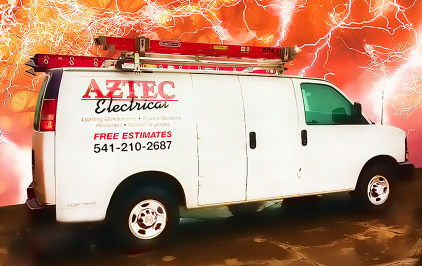 Aztec Electrical, whose office is in Medford, is certified by the Energy Trust of Oregon to work with you on your electrical projects, at home or work, to qualify for energy rebates and incentives distributed by the Energy Trust. In 2009 alone, ETO helped more than 28,000 Oregon households complete improvements and get cash for projects from insulation and duct sealing to high-efficiency water heaters. There are a variety of energy upgrades are eligible for state and federal tax credits too. Send us an email to ask a question or set up an appointment.